Back by popular demand! 2nd Annual Event & Fairs Expo Trade Show. This is the spot to find entertainment and products to fit your budget for your event. All services are $2000 or below. Event is open to anyone wishing to attend. Entertainment Showcase at 12 noon with workshops and round table discussions throughout the day. Topics to be announced closer to the date. Food Booth on site. Vendor space still available. 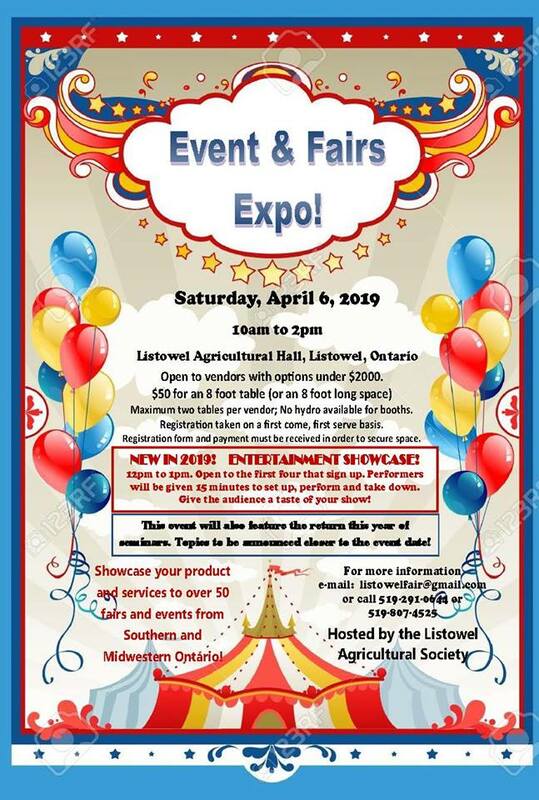 E-mail listowelfair@gmail.com for more details.